Cancellation of the propiska requirement in Uzbekistan has not materialized despite government promises. At the beginning of 2018, Uzbekistan adopted a reform program for the year with an ambitious 231 steps. As the year is coming to an end, one of those steps, namely the 56th, has become the subject of heated discussions in the past two weeks among Uzbek politicians, journalists, and population. The 56th step in Uzbekistan’s massive reform program promised cancelling the propiska or residential permit system by March 20, 2018. In Uzbekistan, the propiska is a compulsory domicile legally tying a person to the address stamped in a passport. An individual is required to live and work in the city or town which their propiska indicates. Children can receive public education only at the location their parents have their propiska. Failure to produce an adequate propiska can lead to a fine. This practice, inherited from the Soviet period, is maintained in other former Soviet countries as well, but the stringency and enforcement of the regulation in Uzbekistan, more specifically in Tashkent and the Tashkent region, is among the most strict. Obtaining a propiska in Tashkent is not easy. There are currently 70 government agencies that can sponsor their employees in the capital city. There are also 12 categories of people, such as spouses and close relatives, who can sponsor a propiska. Even purchasing a property in Tashkent does not give one the right to reside in it legally. In 2017, an opportunity to acquire a Tashkent propiska was given to non-Tashkent residents willing to purchase a new property in the capital that cost at least $94,000 (according to 2017 official exchange rate). For context, the average salary in Uzbekistan was estimated as $166 in 2017. This regulation was tweaked and propiskas were given to those who purchased a property built at least three years ago regardless of the cost. People around Uzbekistan are motivated to move to Tashkent because the capital offers reliable utility services, better education, infrastructure, and job opportunities. But the absence of this option due to Tashkent’s “closed city” status pushes both laborers and highly educated talent to try their luck and seek employment outside of Uzbekistan instead. A recent analysis argued that restrictions to freely move to Tashkent have dampened economic growth in Uzbekistan as well as the economic well-being of individuals. 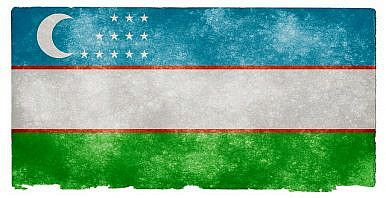 Without such restrictions, Uzbekistan could be a richer country, according to the same report. When the plan to abolish the propiska restriction in January 2018 was announced, the move was welcomed and understood as the new administration’s continued dismantling of the old system. However, the March 20 deadline came and went, but the restrictions remained. Uzbekistan’s Deputy Minister of Justice Akbar Tоshkulov recently reasoned that the delays in liberalizing the propiska system were due to the lack of infrastructure in Tashkent, such as lack of adequate schools and housing Tashkent was not ready for increased internal migration into the city, he argued. Legislative Chamber Deputy Akmal Umrzakov, however, advocated for maintaining the propiska system and denied that the practice limits the right of freedom of movement. According to him, the residence restriction curbs the spread of criminality and sustains controlled urbanization. In fact, Umrzakov’s justification is exactly the same as the USSR Central Executive Committee’s resolution “On establishing single passport system in the USSR and compulsory residential permit of passport” that, in the first place, introduced an internal passport system in 1932 and with it the requirement for a propiska. Following Umrzakov’s comment another Legislative Chamber Deputy Rasul Kusherbaev countered that a propiska is not a fair system. The recent debates indicate that the propiska requirement is far from being abolished regardless of its being slated for an overhaul at the beginning of the year. Uzbekistan’s legislators and officials diverge in perspective. The pro-propiska camp seemingly outweighs advocates of abolition at the moment, justifying the system in various ways from citing the mild lack of infrastructure in Tashkent to harsh security threats. Proponents of abolition who maintain that the propiska is an unfair system are in the minority for the moment. It is clear, therefore, that the government is not ready to abolish this system fully and even if minor reforms can be expected, the overall restriction to designate residency will likely remain.